Modern square sized bencher measuring 5.75 x 5.75. 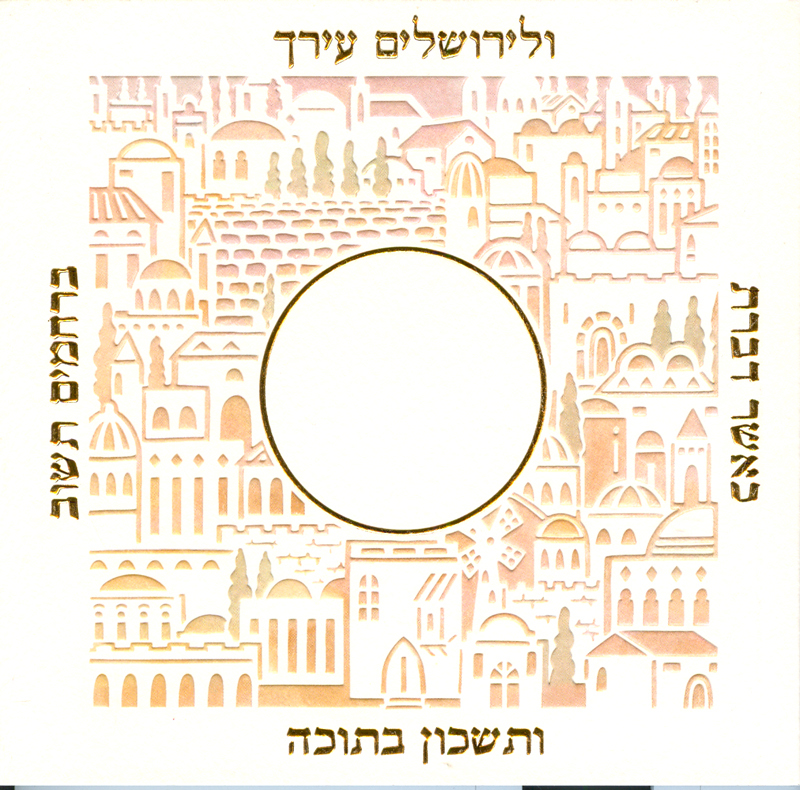 Unique covers displays a beautiful scene of embossed Jerusalem rooftops in refined blush hues. Gold Embossed lettering also surround the four sides of this bencher, and the center gold trimmed circle offers ample place for your monogram or imprint. All 94 quality cardstock pages are framed with a matching colored border. Features all Hebrew full Shabbat Zemirot, Birkat Hamazon, Sheva Berachos and Chassidic Songs. (c) Copyright Empire Press Co.